Tonight has marked a big milestone. The Little Miss is two months old and as I type this, she is sleeping in her nursery after being in the same room as us (in a port-a-cot in the corner of the room) since we got home from the hospital. She settled like a dream too. It’s like she knows that it’s going to be harder for me than it is for her so she’s gone easy on me the first night haha. 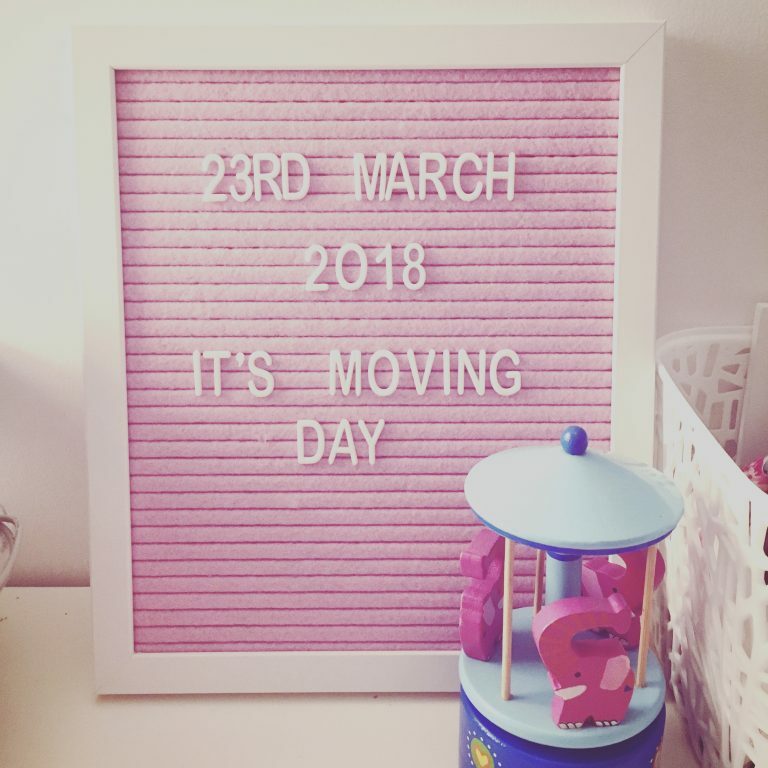 It seems a bit sudden (probably more so for me than for her), considering her big brother didn’t move out until he was over 4 months old, but we had our reasons for making this decision. I’m sure some people would judge us but we truly think that it will be more beneficial for all of us. I have found it difficult sharing a room with her because of the anxiety about sneaking into bed later at night and hoping we don’t wake her. Wondering if every time we roll over in bed, she might notice. Her grunting and snoring stealing our sleep (even though I would freak out if I didn’t hear it). My annoyance at Mr Unprepared engaging in competitive tossing and turning in tandem with her. The absence of little selfish pleasures like being able to watch Netflix in bed. Mr Unprepared and I showering and toileting at the opposite end of the house, even though it’s far less convenient. Despite all of that, there’s something special and sentimental about being so close to your beautiful little baby each night. It really is that gorgeous newborn bubble and it really does fly by. It feels bittersweet to make this change to her sleeping arrangements right now. I would have loved to wait longer to move her. Perhaps until she was able to sleep for 11 hours straight without a feed (she wakes at about 3:30am on average currently). Or when she was old enough to self settle a little easier. Or when my sappy, bleeding heart decided it was time. But with Mr Unprepared (noisiest human alive) returning to work after Easter, it seemed like a good idea to move her to the far end of the house next door to the Little Mister. Mr Unprepared gets up quite early each work day, has to shower, turn on lights, open and shut doors etc etc. If we had her in our room, he would absolutely wake her and turn her into an early rising monster. If he had to get ready up the other end of the house, he’d wake the Little Mister, turning him into a grumpy early rising monster too. Moving her means I’ll be the only grumpy early rising monster and seeing as I am (barely) a grown up, I am better equipped to handle it. Taking one for the team since 2011! Ideally, I would have waited until the Easter long weekend to move her, but we have so many plans that we figured the poor thing would be quite over stimulated and will have been carted all over the place, with routine being a bit flexible. We didn’t want to put her through a big change at night time, on top of that. So this weekend it is. It’s a Friday night, so the Little Mister can adjust to any weird noises he hears too, without it affecting his ability to function at school after the first few nights. That’s the theory! Not long after Easter, it’s the school holidays. Another opportunity for all to adjust. Honestly, I think the Little Miss will like her big cot much better than the port-a-cot. I think it seems like it would be a lot more comfy for her. Wish us luck!! I’ll just be over here staring at her via the baby video monitor all night! How old were your babies when they moved out of your room? Or were they always in their own rooms? How did your older children adjust to having a crying baby close by at night? Any tips for making the transition easier for both kids during the evening routine?